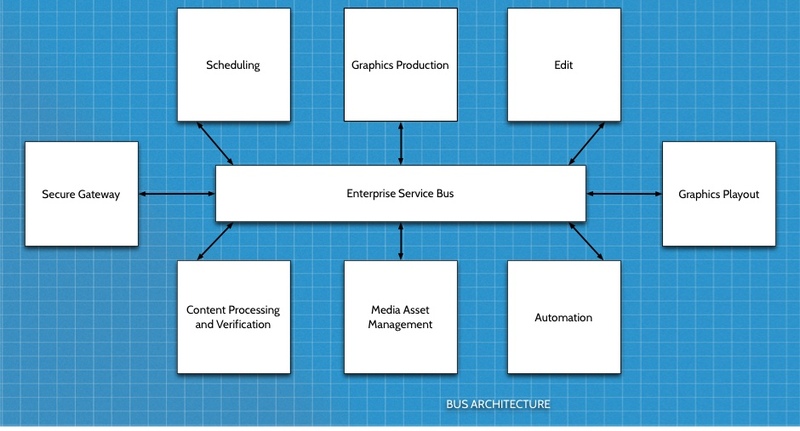 Busby is our Enterprise Service Bus offering. Achieving efficient communication between broadcast software systems can be difficult. 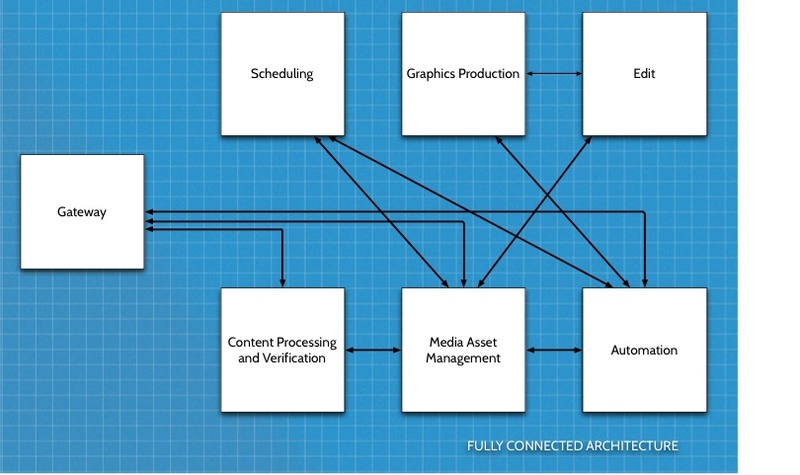 It is often necessary for the manufacturer of each system to provide an interface to each of the other systems, creating a complex web of interconnections. It can be problematic to make a change to any one of the systems, or to perform maintenance on one system without affecting all the others. If one system fails, it can cause a chain of problems and you are left in the dark trying to figure out the root cause of the problem from limited data. Add integrations to business software systems into the picture, and the whole thing can become a confusing mess. Busby is a light-weight, broadcast specific implementation of an Enterprise Service Bus. Busby allows the creation of a loosely coupled system architecture by providing a common communication platform for a set of choreographed micro-services. Busby systems have a set of services and subscribers to and providers of those services. A distributed directory service manages configuration information and dynamic topology changes allowing active/standby and active/active service providers to be implemented. Busby is divided in to services which make up six main groups. Busby Workflow is a flexible way to build workflows from a simple schedule import workflow to a complex file delivery workflow. An easy to use web based configuration tools makes simple work of configuring your systems. Click here for more information about Busby Workflow. Busby Big Data is a collection of micro-services allowing all Busby services to record events for later SLA reporting and analysis. Examples include recording every alarm trigger, and every workflow transition, along with associated metadata about who performed the action. User interfaces and reporting tools are also included. Click here for more information about Busby Big Data. Busby control provides a lightweight mechanism to control external devices and services either manually or on a timed basis. Click here for more information about Busby Control. We often come across customers who want to quickly make a dashboard for a control room or engineering staff to display important data. Busby Dashboards provides a simple way to create and deploy dashboards, using a freely available SVG editor. Click here for more information about Busby Dashboards.